The Chicago Tribune wrote a really thoughtful story about yours truly the Google Doodle team — the only article about doodles to describe my hair! 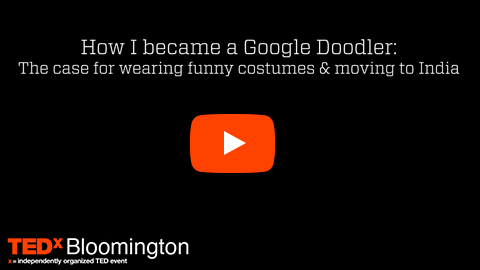 Ever wonder how I became a Google Doodler? Check out my TEDx Bloomington talk for the story. The Google Doodle team stopped by the Computer History Museum for a talk on The Art & Technology Behind Google Doodles. Germart Presents: Juice by Planet Booty, a full length music video directed, animated, and co-written by yours truly. I returned to India and teach a few art workshops. The Hindu newspaper wrote a really kind article about it.